Writing multi-platform mobile applications no longer requires flipping between different IDEs, one for the server side and one for the client. 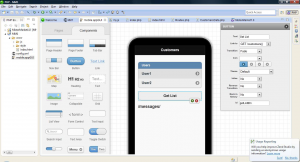 In this article I plan to use Zend Studio 10 which provides visual design for both client-side interface prototyping and RESTful back-end service creation. The studio has in built-in PhoneGap/Cordova and JQuery integration which allows us developers to write, test, and package apps that function across all the major mobile operating systems, including iOS, Android, Blackberry, Windows Phone. 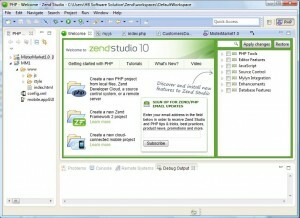 You can check out the Zend Studio here. If you have been reviewing previous articles you will notice some prior work on Openshift. For this work we will again take advantage of Openshift deployments. Zend makes it extremely easy to create and update Openshift Apps. You will need an account to be set up prior to making this selection; but after that, Zend will create the app for you!! You’ll just need to fill in the information in the pop-up and you are all set to code. (It will even generate the RSA key for you!) Please note that you may want to select the installation of the MySql Cartridge during App creation. 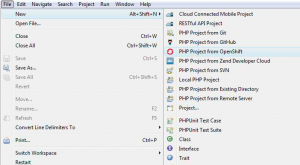 Below is the sample app that is created when you select the PHP Mobile App on Openshift (see image above). It doesn’t have too many files, so I suggest studying each one of them thoroughly. I made a few changes to the code to get the feel for how the client and server interact. I also removed the concept of building the PhoneGap App that you need to put in the App Store. Instead the Mobile Web App is available on the website itself. You can see it live by using TestiPhone.com – You will want to use Safari or Chrome to see the demo. Or I snapped a few photos for you to see below.